What everyone has been waiting for. 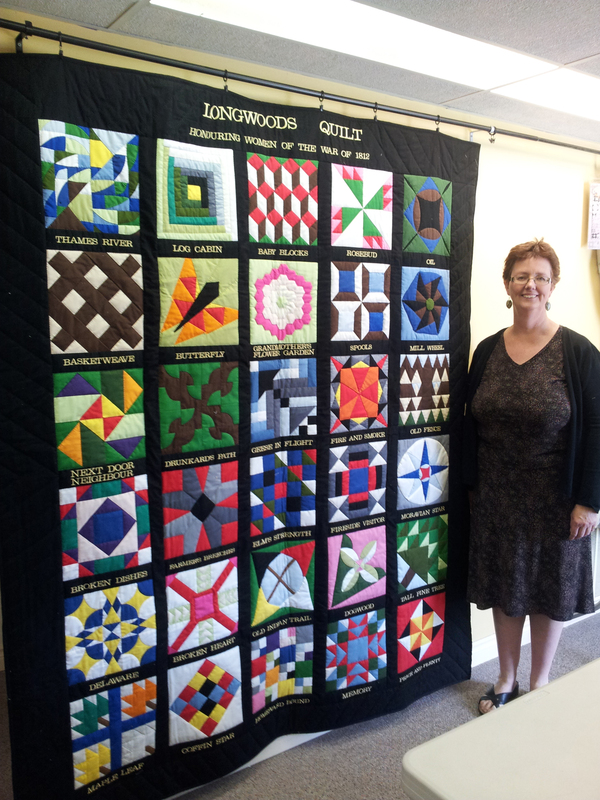 Through vision, creativity and hard work, the thirty block Longwoods Quilt is completed. Click above on Stories to find the story that goes with each block. What a project we have created to commemorate the War of 1812 women. Posted on July 8, 2012, in History, HERstories, and Myths, Longwoods Barn Quilt Trail, Quilt Blocks. and tagged Longwoods Barn Quilt Trail, Longwoods Quilt, Longwoods Road, Longwoods Road Barn Quilt Trail, Quilt, War of 1812, Women, Women of War of 1812. Bookmark the permalink. 1 Comment.